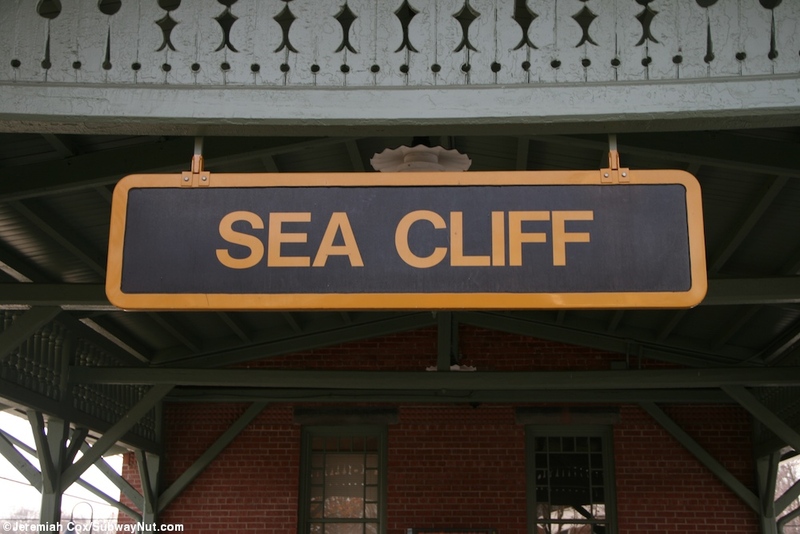 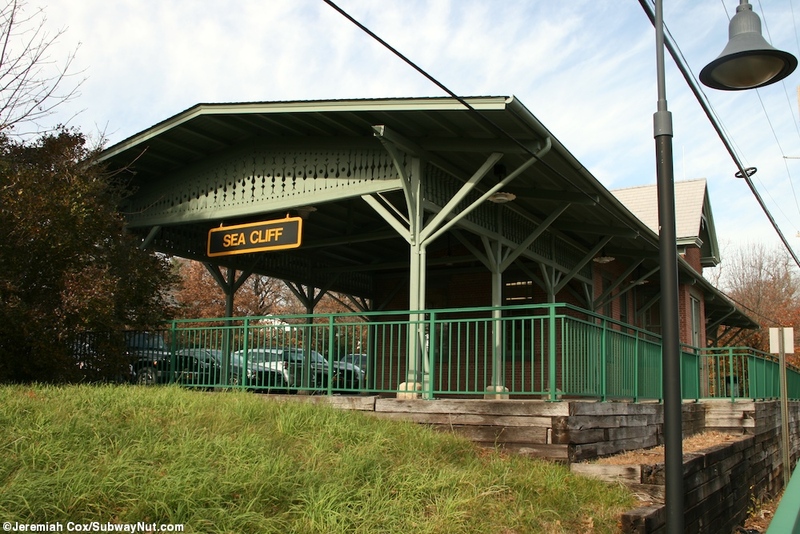 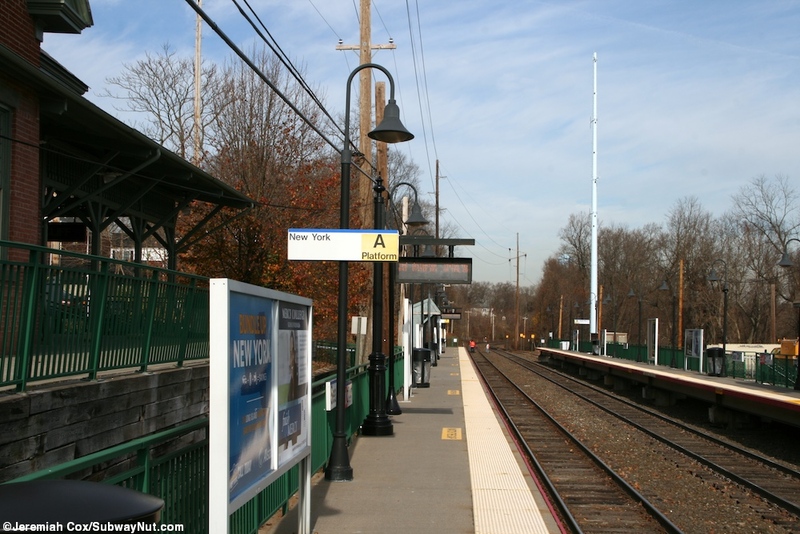 Sea Cliff is a fitting name for this station because it is built directly into a hill with the depot above the New York-bound platform almost overlooking it. 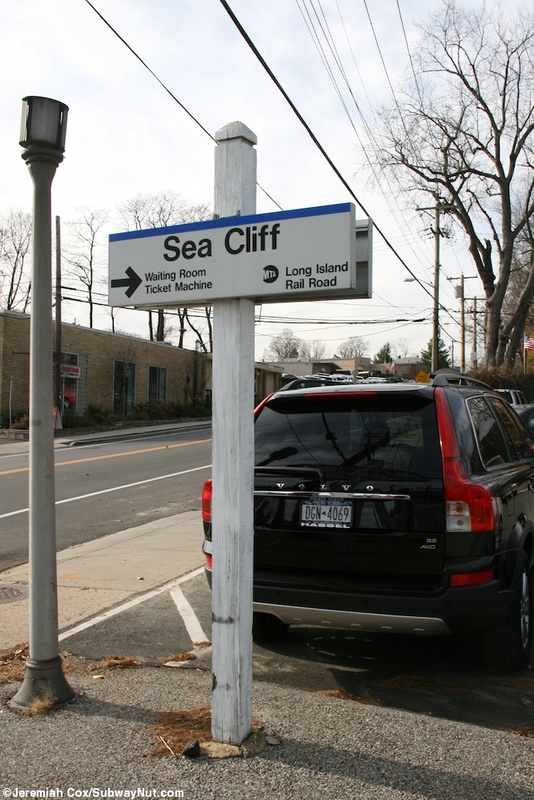 The station has two 4-car side platforms a short ways beyond the grade crossing of Sea Cliff Avenue that is the only connection between them. 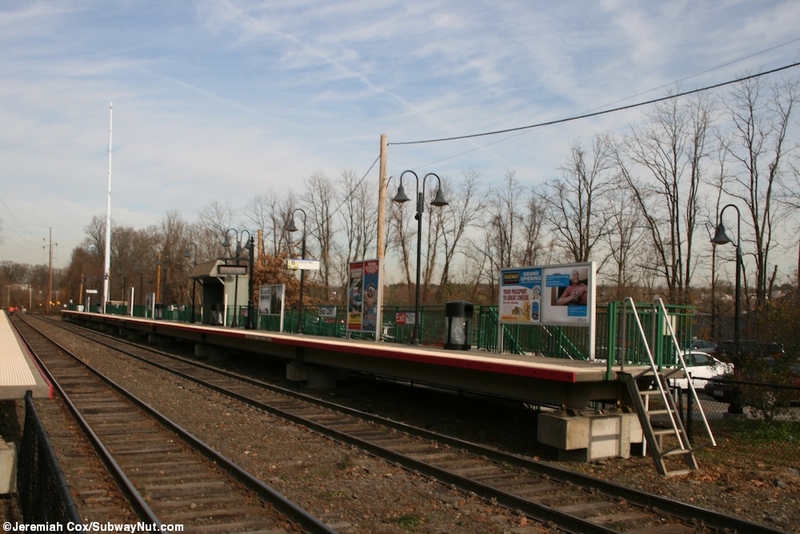 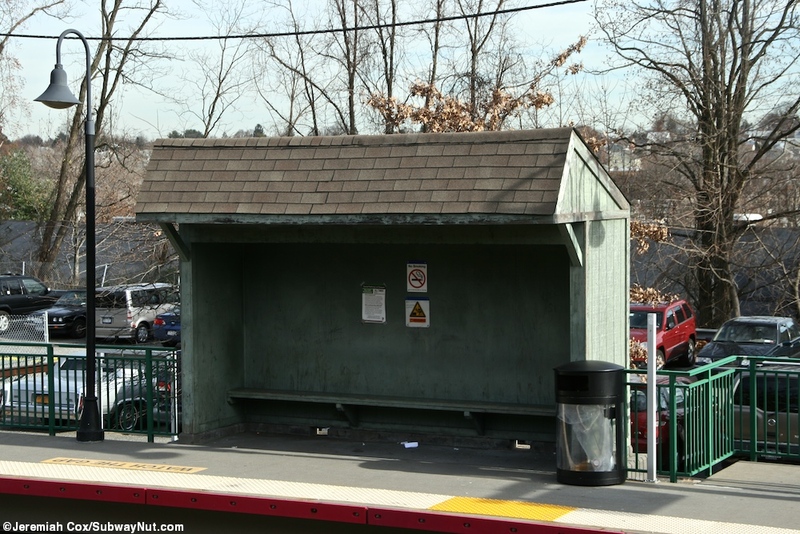 These high-level platforms each have the late 1990s design of green fencing and black lampposts but for shelter for waiting passengers there is a single historic wooden gabled roof shed, one of the few older shelters left on the LIRR with a bench inside it. 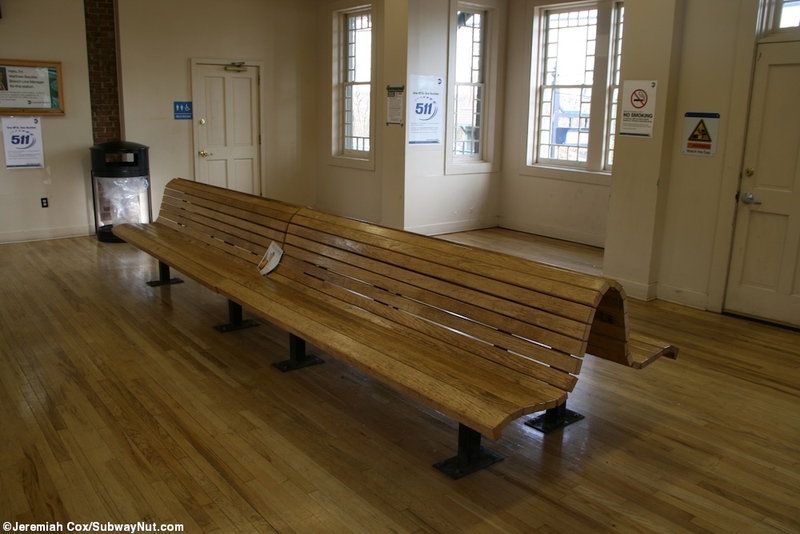 This is the only provision for waiting passengers. 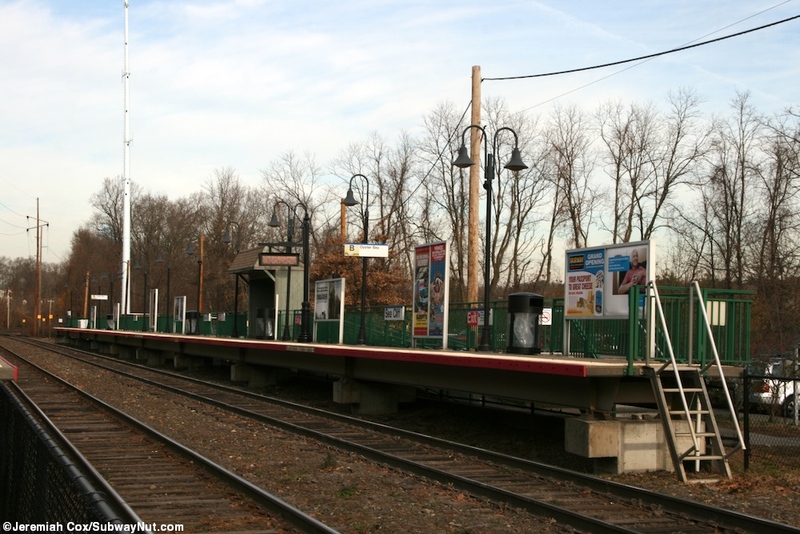 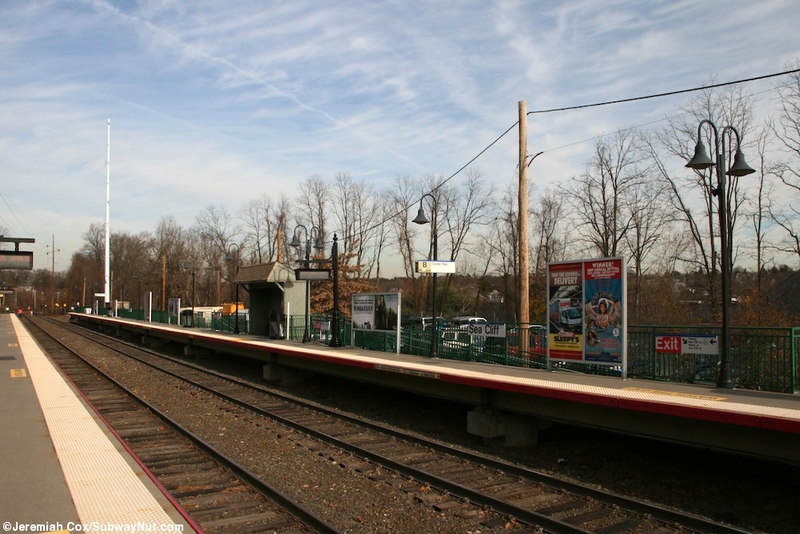 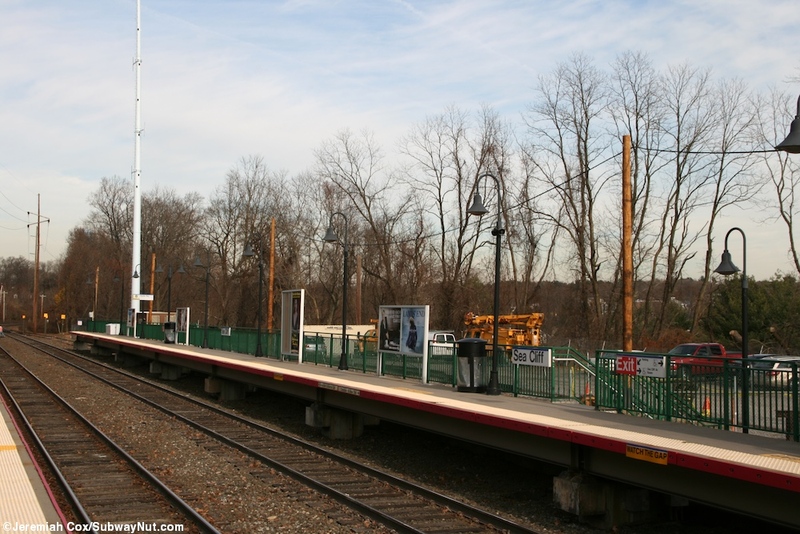 The Oyster Bay-bound platform is along its own small parking lot with staircases and a ramp up to it. 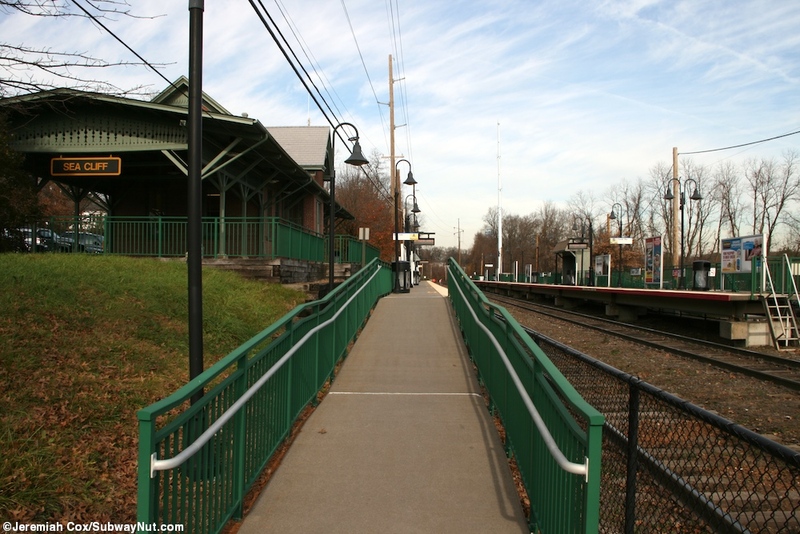 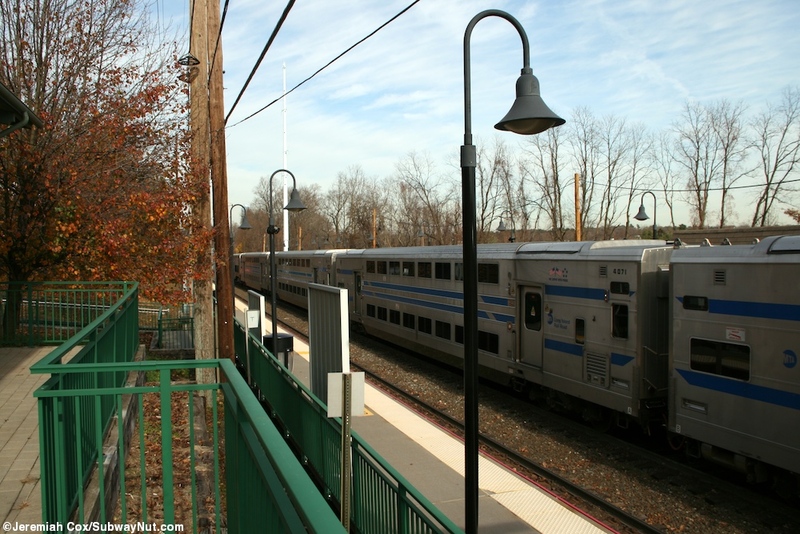 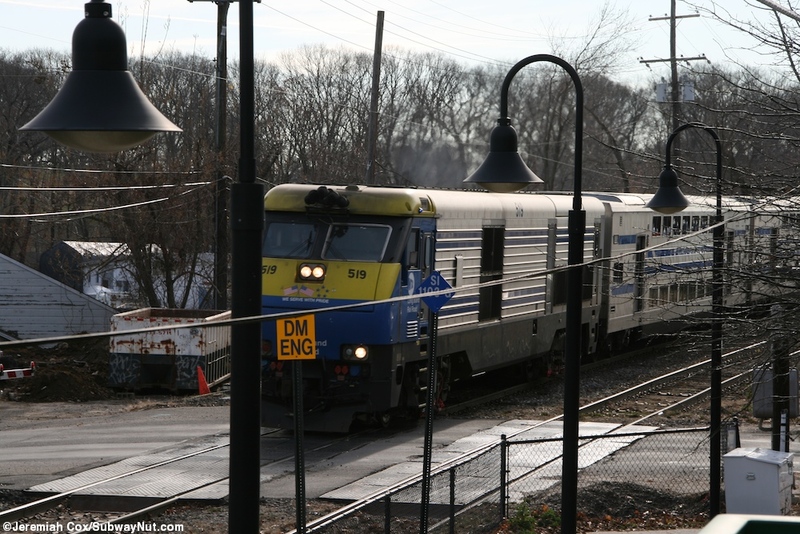 The New York-bound platform has access via a walkway to a ramp up from the grade crossing as well as from its slightly larger parking lot that is higher than the platform because the station is built into a hill. 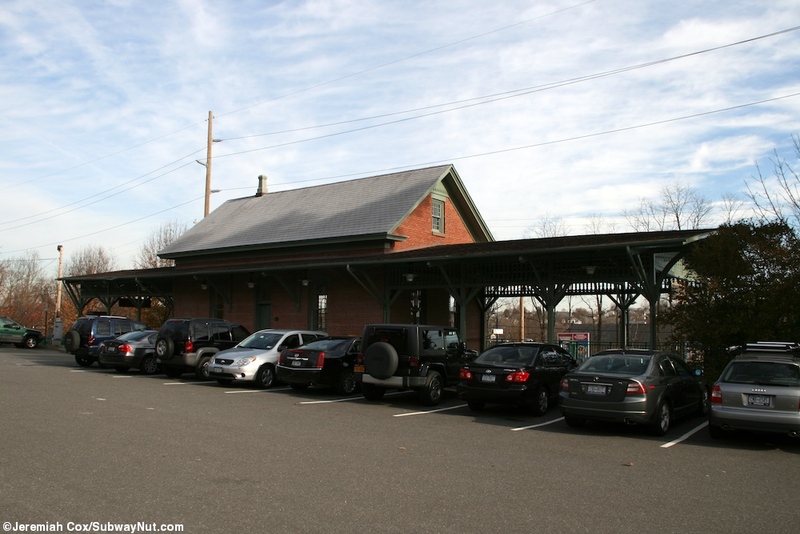 On the edge of this parking lot, overlooking above the platform and tracks, is where the historic Sea Cliff depot is. 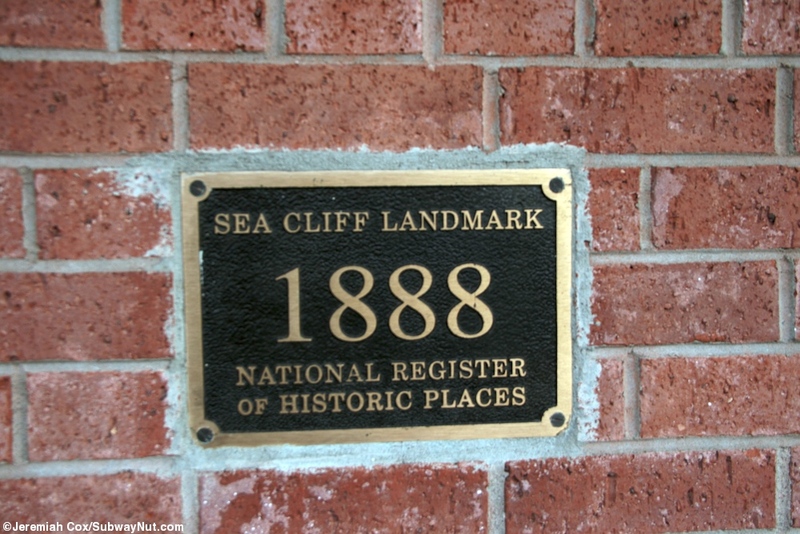 It opened in 1888 as a plaque on the building informs and is on the National Register of historic places. 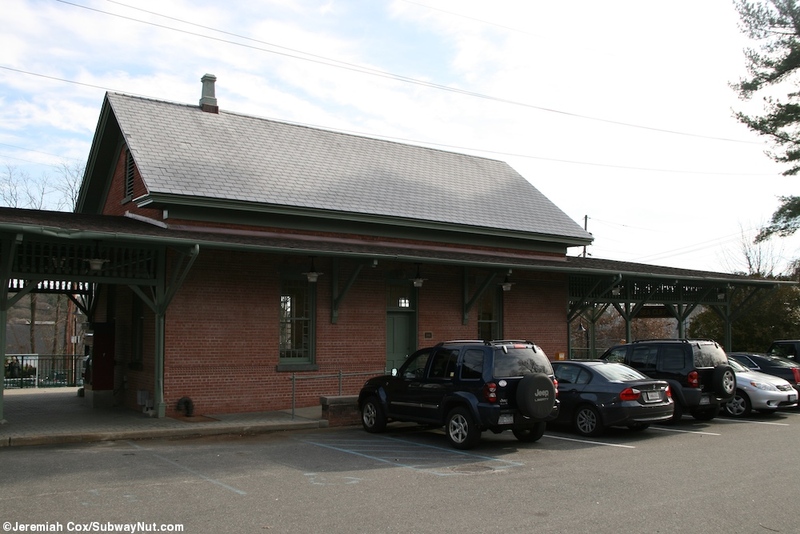 It is a brick building with a gabled roof and large sheltered areas coming off from either side that form a bit of an observation platform above the tracks. 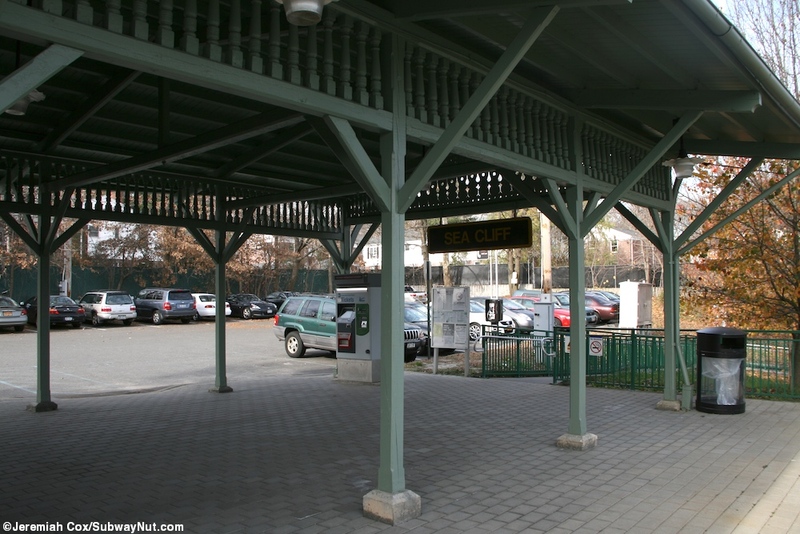 These areas were designed for the loading and unloading of carriages. 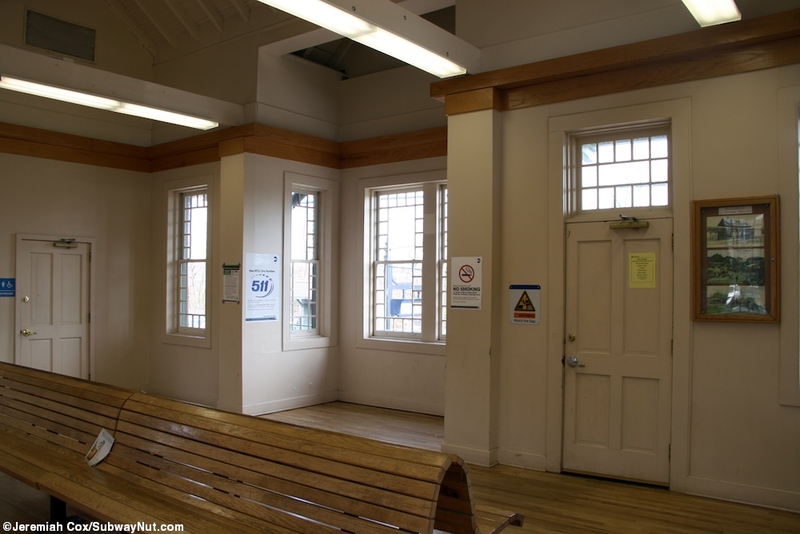 The waiting room inside with some modern curved wooden benches and a restroom is still open from 5am to 2pm. 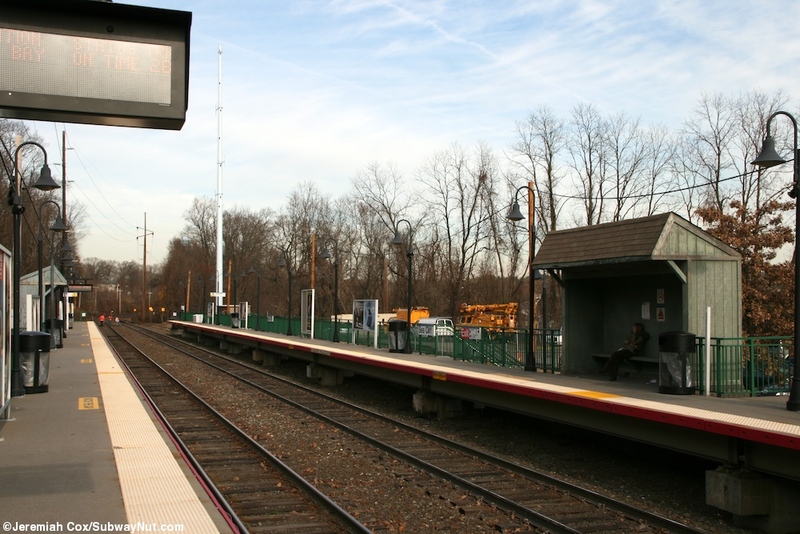 It was staffed with a ticket agent until April 3, 1996 (Sandra Saslovsky, 'In Oyster Bay: LIRR Riders Await the Machine Age' Newsday March 24, 1996. 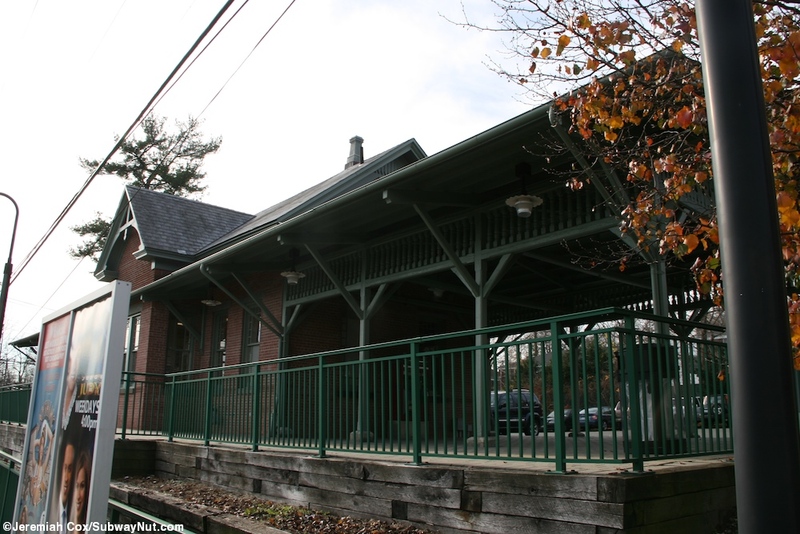 E.09 Archive Link).